Takamaka is opened all year round since 1994 and is located in a very strategic place – in the Old Town of Annecy just 2 steps away from the train station, lake and other important places. 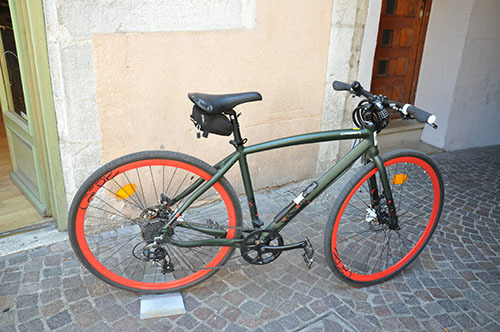 We offer comfortable city bikes, high qualtiy MTB’s and even road bikes. If you want to enjoy the beautiful sites in an active way, our bikes are waiting for you! 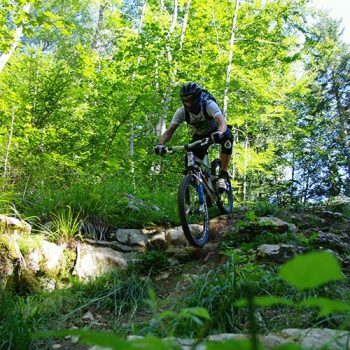 For challenge seekers, we offer our Cross country MTB’s to try out the mountain trails. For even more challenging trails we will rent a full suspension (downhill) MTB. 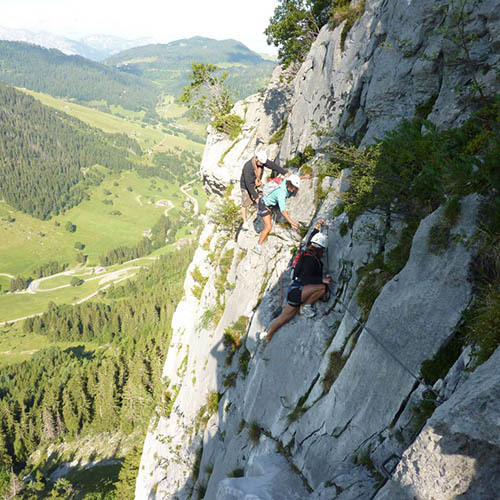 Summer Season: Via Ferrata kit, Canyoning kit, Canoe, Stand up paddle board. 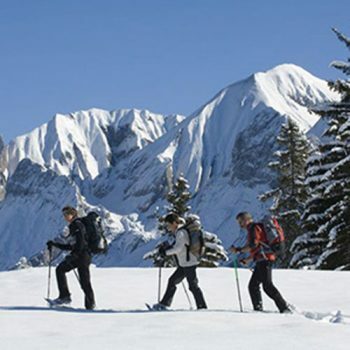 Winter Season: Snowshoes, Sledge and equipment for the night (sleeping bag and sleeping mat). Have questions about renting bikes? Annecy will provide you with unique views and landscapes. Get ready to be amazed while enjoying your activities. We provide qualitative equipment to make the most of your activities in nature ! Takamaka’s team will welcome you in the shop and give you all the necessary information that you need to enjoy our activities: Cycling, Canyoining, Snowshoeing, etc. You can rent sport equipment for various summer and winter activities such as Canyoning, Cycling , Stand up paddle, Via Ferrata or Snowshoeing and Sledding. 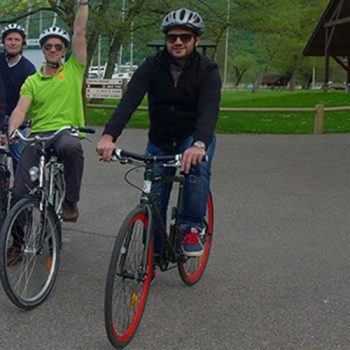 Is there a cycling route in Annecy ? 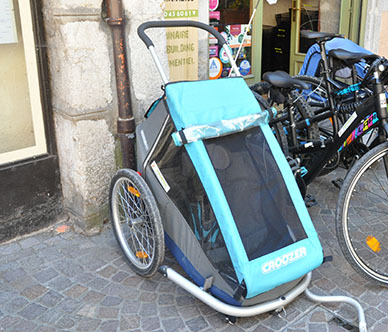 Can we enjoy a week-end without a car in Annecy ? 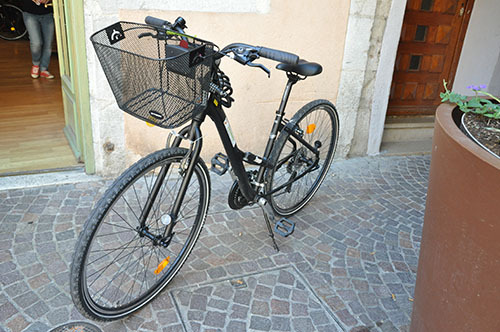 Annecy has 33 km of Cycling Paths in the city alone not counting in the many pedestrian paths that Cyclers can also use. 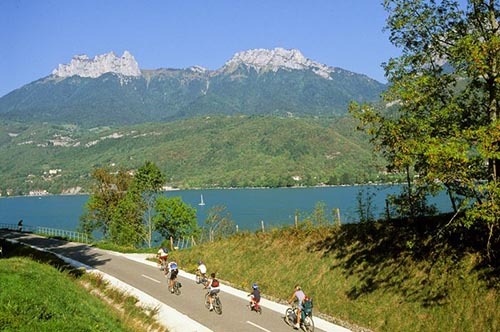 There is a cycling route along the Lake of Annecy as well. Of course. 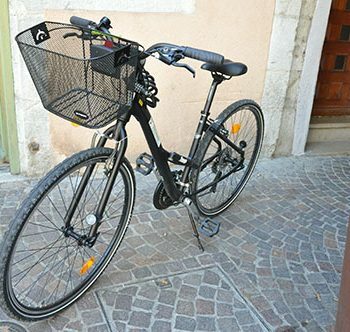 Our shop rent bike annecy is located just 600 m away from the train station, so you can take the train and walk to our office to rent a bike. You can leave your luggage here if needed! Moreover if you practice an activity with Takamaka, we will reduce the bike renting price for the day of the activity. 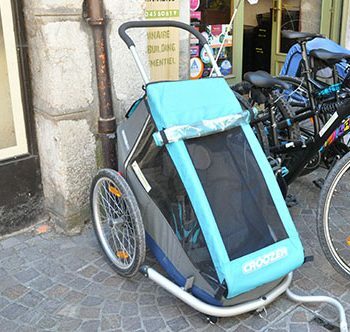 For how long can we rent bikes ? 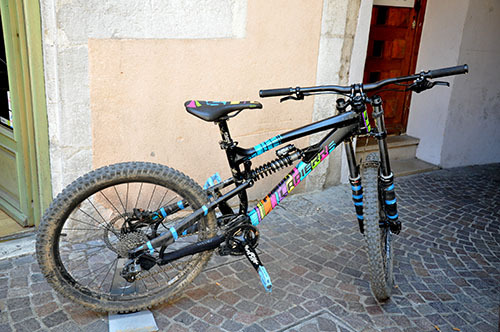 Do you rent Mountain Bikes ? We offer you to rent our bikes from one hour to few weeks. Of course! 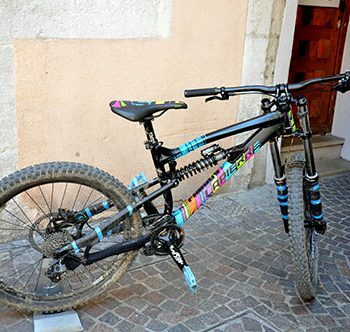 We will offer you high quality Mountain bikes. 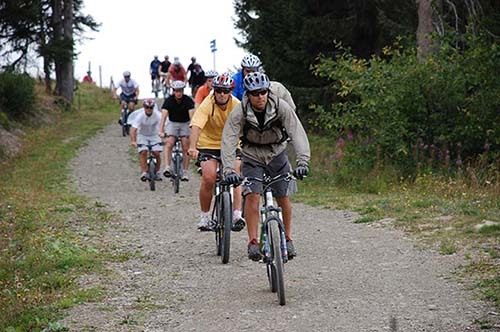 Moreover, there is a summer bus line that will take you and your bike up the Semnoz mountain, so you could enjoy Mountain biking without putting an effort to go up – ask us about it, we will provide you with all the information you need. Very nice team that helped me with my bike problems. I haven’t tried out their activities but I know for sure that if you visit Takamaka, you will receive a warm welcome!